Introducing a new line of Yars, inspired by the design and colors of Gaudi. 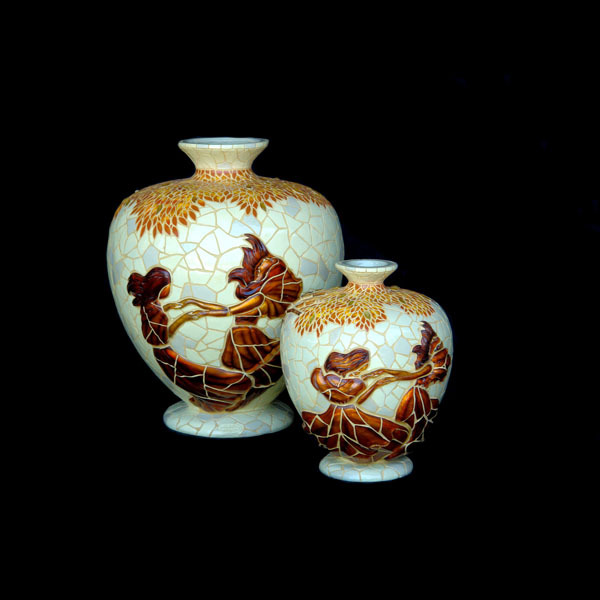 All jars are made of Fiberglass, with the joints filled with tile grout. They are decorated with heigh quality resin and silk painted. They come in diffrent sizes and at the color of your choice.